It's here! 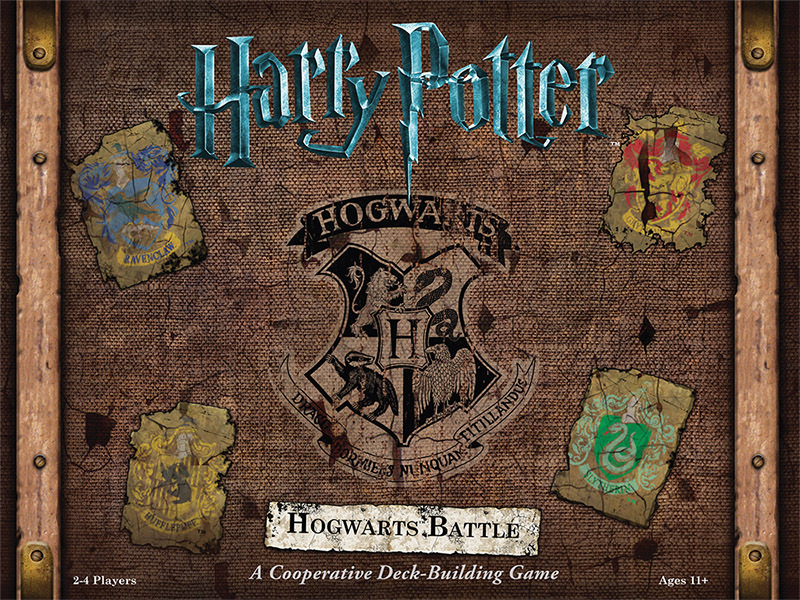 Harry Potter: Hogwarts Battle. This is a cooperative deck-building game where players take on the roles of Hogwarts students working together to ensure the safety of the school by defeating villains and consolidating their defenses. It's time to break out the fancy glasses! 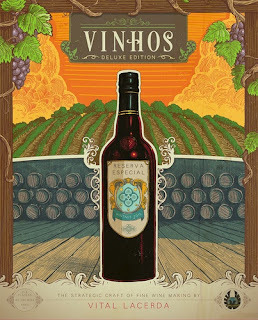 Vinhos is an economic game about wine making. 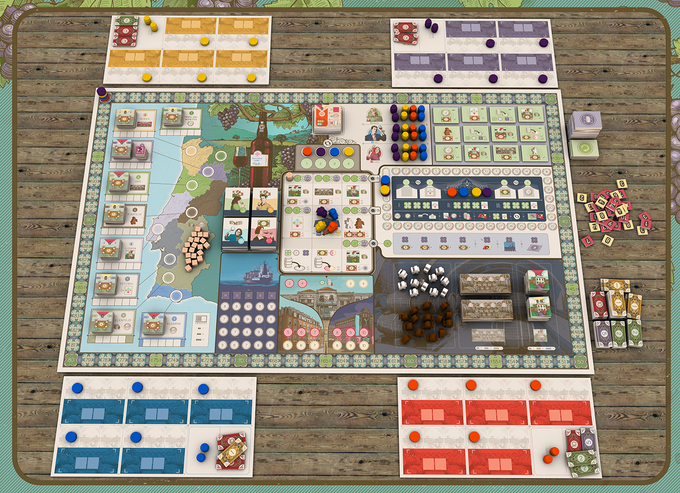 Players develop their estates with vineyards and wineries, producing the highest quality wines and selling them for profit and victory points. 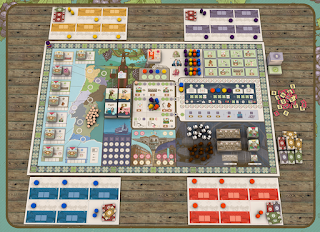 The game takes place over six years as players work to expand their businesses in the different region of Portugal. Hire skilled enologists and capable farmers to increase the quality of your wine, but keep a careful eye on the changing weather which will affect production at the beginning of each year. 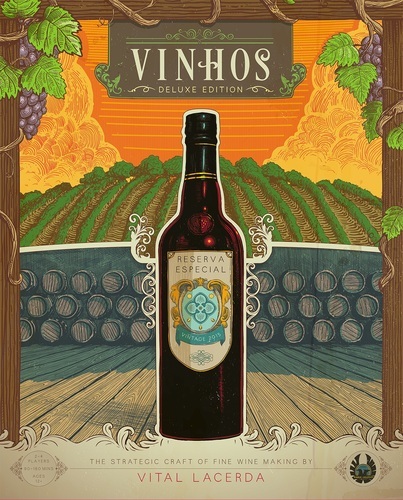 This deluxe edition allows you to play 2 different versions of Vinhos: the Special Vintage 2016 and the 2010 Reserve. The Special Vintage 2016 is less complex but with the same depth. 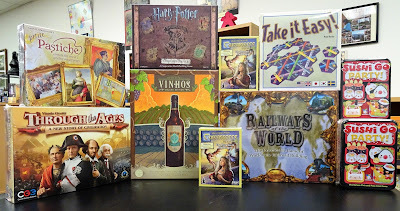 The 2010 Reserve has some new rules, concepts, and tiles. This is a new edition of an old family favorite. It's a multi-player solitaire game in which each player individually completes a hexagon-shaped board with spots for 19 hexagon tiles. One person (the caller, who may also play) randomly draws one of 27 tiles featuring colored/numbered pipes crossing in three directions. 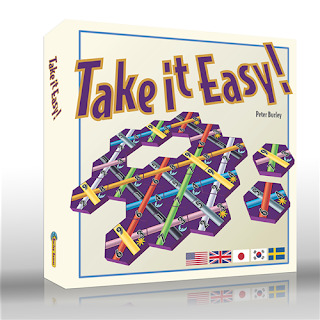 Each player then places a tile on his hexagonal board, with the goal of connecting the colored lines edge to edge. Placement continues and increasingly tough choices ensue until the hexes are filled, and scoring is calculated by multiplying the number on the tile with the number of tiles in the completed line. Sushi Go gets a party! Its a party platter of mega maki, super sashimi, and endless edamame in this expanded version of the card game Sushi Go. 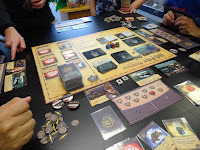 Mystery Rummy Card Game, is a series of themed card games that's a combination of traditional rummy and a good mystery and where you have a different ending in every game. A world of beautiful colors comes alive in Pastiche as players choose commission cards picturing works of art. You score your commissions by mixing primary colors through clever tile placement, creating a palette of colors. In Railways of the World you'll revisit the early days of the Age of Steam as you begin with a locomotive (the venerable John Bull, the first locomotive to run in North America) and a vision (your Tycoon "mission" card). 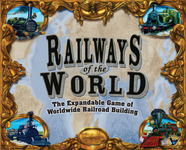 From there, build your budding railroad network into a vast empire. Earn the most money, develop bigger and faster locomotives. 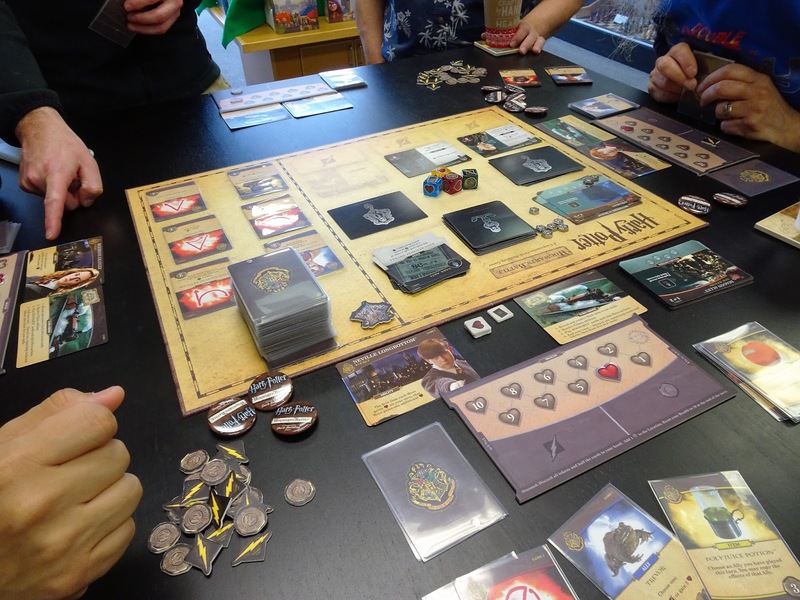 In Wyatt Earp, the players are bounty hunters who work cooperatively and competitively to try to capture the most notorious outlaws of the old west. They do this by collecting and playing sets of cards for the various outlaws. 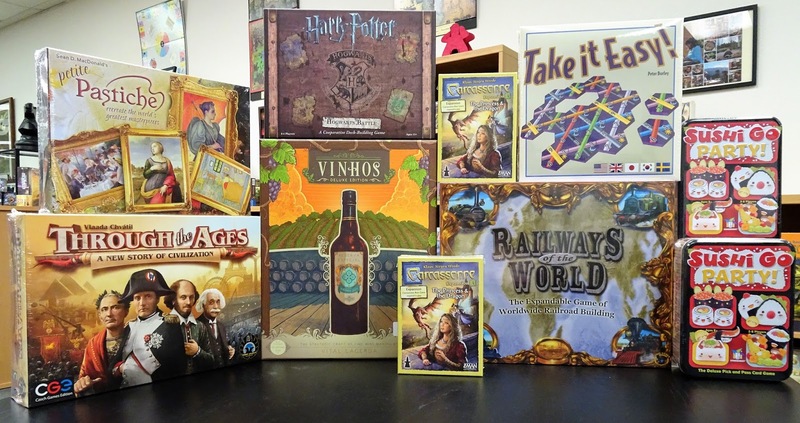 Carcassonne: The Princess and the Dragon is the 3rd expansion to the base game Carcassonne. The Princess distracts the knights from performing their duty. The Dragon is a fearsome beast that threatens to devour meeples. The Fairy repels the Dragon and grants bonus points. Magic Portals enable you to place meeples on already placed tiles.